Virtually everyone you talk to about eBay will tell you that the way to win great deals is by sniping. As we all know, sniping means waiting until the last possible moment to place a bid with the intention of beating out anyone else's high bid at the last moment. And one of the best programs to do that with is by using the BAM software tool for winning on eBay. But sniping isn't always the answer. A lot of people snipe and win, but conversely, a lot of people snipe and lose. Although there is no doubt that you will greatly increase your chances of winning when you use the BAM software, there are some times when it is better to place a bid early and let it ride. Let's say you see an item that you want, and you know what you want to pay. After all, if you have been doing a little research, you will have gotten the general idea about how much the item is going for and how much you'll expect to pay for a winning bid. So, at the beginning of the auction, punch in your top bid and walk away. That's it. Just by doing that, you'll be surprised how often you'll be winning instead of losing, and there isn't a lot of stress to this method at all. The reason why this works is because most people, like you, have a set price that they are willing to pay. Because most people win by sniping, they are counting on their one and only last and final bid to win the item. Since they punch in their bid at the last moment, there is generally no time left for another bid. If that last bid is less than your original bid, they don't have enough time to bid again and...you win! This technique works best if there are several of the same items listed. The first few will be gobbled up quickly by high bidding snipers, but after that, the winning price will stabilize and an original first bid may be very likely to hold up through to the end. Many people employ bidding by increments to see how high the price may be. 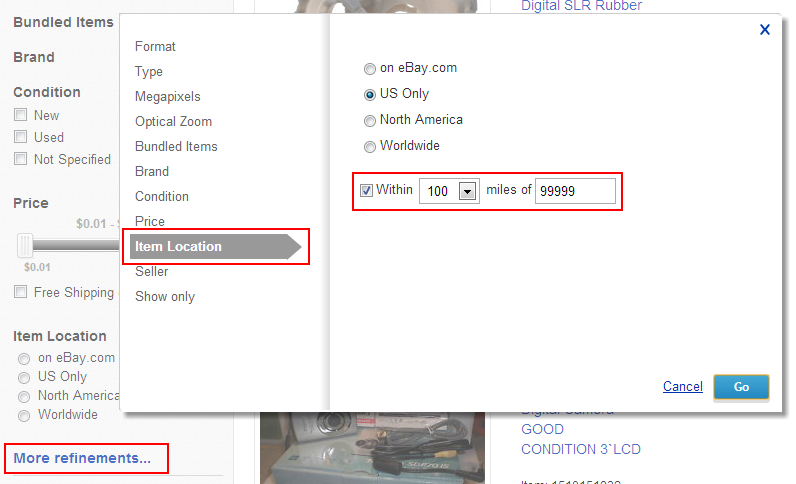 Ebay allows you to bid a minimum each time you bid, but won't show you the highest first bid—yours--until it is reached. This works in your favor if someone decides they only want to pay a set amount for an item. They will bid in increments until their set price is reached, and they will give up at this point if they haven't reached their set price. Granted, if they bid higher than you they will win anyway, but for those bidders looking for deals, they will either be hesitant to bid a higher increment, or they will give up and wait for the next listing. Sometimes doing something that is not of the norm is the way to winning items on eBay for the best price possible. That's called thinking out of the box. And in this day and age when sniping is considered the best way to go, bidding early might be the difference between winning and losing. So take a shot, bid early with your highest possible bid and see what happens. And when you win you'll be smiling all the way to the check out button. Hey, you heard it here first, because as always, knowledge is the key and BAM's got your back! Is It Safe To Buy From eBay? I have often been asked: is it safe to buy on eBay? My answer is always Yes! providing you take a few easy precautions. When you are looking for an item on eBay, the first thing you always want to check is the feedback. If the feedback is lousy, and that means in the 80 percentile range, consider avoiding that seller no matter how much you want to get that item. This becomes doubly true if you read the feedback and many people have written about the items quality, poor shipping and even payment issues. Stay away from these sellers at all cost. A lot of people get tripped up when making a payment on eBay. The best way to do that is with an electronic payment service like PayPal. There is no muss, no fuss, you simple transfer the payment directly from an electronic payment service directly to the auction seller. These transactions are recorded, and they will give you powerful evidence if the item is not received or the person says that you've never sent a payment. Sending a certified check or a money order is not as good. 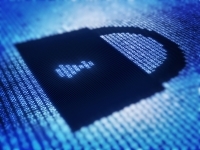 Although they can be tracked to the person who cashed them, it will take time. The worst part is that someone can intercept your check from the mail, change a few things about it, and cash it for themselves. Does this happen often? No, but it does happen, and it can lead you into weeks or months of problems when you are trying to prove where it went, and to whom. The worst thing to do is to send cash for an item that has been won. Cash is untraceable, and even if the seller gets the cash, they can say they didn't, and no one will know otherwise. In most cases, asking yourself, is it safe to buy from eBay is a no-brainer. 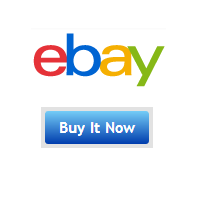 eBay, as a whole, is very honestly run and people who sell there want you to have no trouble bidding and winning. They want the transaction to go smoothly and as effortlessly as possible. Just remember that you will always maximize your safety by using an electronic payment service and by always dealing with reputable people. Just by doing those two things, it will be safe to buy on eBay nearly 100% of the time. And buying right with safety in mind is another reason why BAM's got your back! In most cases, people are happy to box up and ship the item you won. Usually that's no problem, but for bigger ticket items, many people list them for local pick-up. And when listed like that, you can get some fabulous deals with low winning bids. The reason is that, in most cases, only a few people within driving distance will bid on an item that advertises local pick-up only. That makes sense because no matter how beautiful or gorgeous or even though an item that is listed at a low price, people are not going to want to drive more than a hundred miles or so, and you can't hardly blame them. However, that cuts down on the available people that will place a bid, and the less people that bid, the greater the potential that leaves for an absolute steal. But distance works in both ways. If you are willing to drive that extra few miles or so, you can save a bundle on both the final bid price and the cost of shipping. Granted, this won't work out very well if you are using a gas guzzling truck or a large passenger car. But if you can get your winning purchase into your back seat, and if you get some decent miles per gallon with your vehicle, you could easily get a great bargain as well as save on the cost of shipping. Of course if you can double up on a trip, that's even better. Take a ride out to Grandmas or take in the State Fair, and while you're at it, take a little detour and pick up the item that you've won. This way you can do two things at once, save money in the process, and make Grandma happy! So go local when you go eBay, because sometimes the best deals are right in your own neck of the woods. And remember, BAM's got your back, no matter what you bid on and win at eBay! Almost everyone has a cell phone, and many newer models have the capability to take video. Granted, using a cell phone like this is incredibly convenient, no doubt. However, if you like the fuzzy picture quality, pixelation, lousy low light capabilities, questionable sound quality and a video that looks like it was taken with a potato, than a cell phone video camera is perfect for you! New camcorders have drastically fallen in price for a couple of reasons. The technology is getting less expensive to manufacture, and cell phones are being equipped with video cameras. Some top of the line camcorders are selling new for less than the price of a 4G cell phone. With that in mind, imagine what camcorders are going for on eBay! Used camcorders with HD quality picture, low light characteristics, stabilization, that print to flash media can be won for pennies on the dollar. These are high quality units from brand name makers that you'll win for far less than the newest feature packed cell phone. Camcorders have gotten so common that if you miss a low bid on the first one, chances are you get the second one, possibly for even less! Now, these are not the bulky camcorders that you need two hands to hold. These are state of the art Hi-Def units that are sometimes no bigger than a modern key pad cell phone. They can be slipped in a shirt pocket, strapped to a hat, aimed with one hand and in all instances, will give crisp, clear and outstanding video. Many are even equipped with stereo microphones for quality audio. They all take flash media that inserts into a receptacle, and many come with built-in memory so you can shoot video right out of the box. This is truly one of the most outstanding deals on eBay right now. Just remember, when bidding and winning a camcorder, make sure the shipping price is calculated in, and also check the feedback to see if there are any issues with the seller not packaging correctly. So, if you are looking for high quality video and think that your cell phone can deliver, forget it! Your Smartphone isn't quite that smart. Win a camcorder off of eBay, get HD picture quality, smile at how little your final bid price was, and remember that when it comes to finding deals on eBay, BAM's got your back!